I have been dancing my whole life, but have neglected it for the past few years. Now I hunger to get back in the swing of things. Dancing makes me come alive. 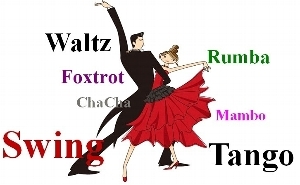 Couples salsa classes for seniors. Both of us are good dancers interested in a new. Hobby! Can I participate if I do not have a partner? I'm looking for beginner salsa dance classes for my mom and dad to give them as a present for Christmas. They are going to Cuba in the spring and thought this would be a great way to help them get excited for their trip. Would like to take beginners salsa dance. I am interested in learning to Salsa. I have no formal dance training, but love to move, and am attracted to the energy, fire and passion that Salsa offers! I love to dance!